The effect of vibrational smoothing of dry friction has been studied intensively in the past. High-frequency vibrations have been shown to reduce average friction forces and thus smooth the effective characteristics of dry friction. Consequently, undesired friction-induced phenomena, such as friction-induced vibrations or stick-slip motion, can be avoided. 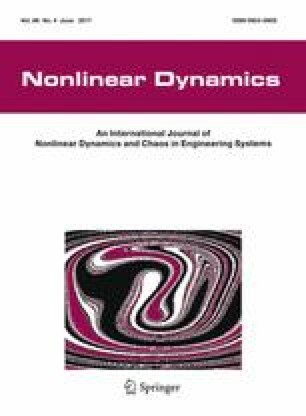 While most publications focus on rigid contacts using classical Coulomb friction models, a class of dynamic friction models, namely the Dahl, LuGre and the elasto-plastic model proposed by Dupont et al., is considered here in order to account for contact compliance. Based on a simple 1-DoF friction oscillator, the effect of longitudinal high-frequency vibrations is investigated. An averaging procedure is applied in order to derive the effective friction–velocity characteristics of the system. Using a Galerkin procedure, analytical approximations can be derived for the Dahl and the LuGre friction model, while numerical calculations have to be performed for the elasto-plastic model. In order to validate the results, full timescale numerical simulations are performed. When accounting for contact compliance, the smoothing effect can still be observed. However, the calculated friction forces are higher compared to the classical results using Coulomb friction. Hence, the assumption of a rigid contact leads to overestimation of the smoothing effect.